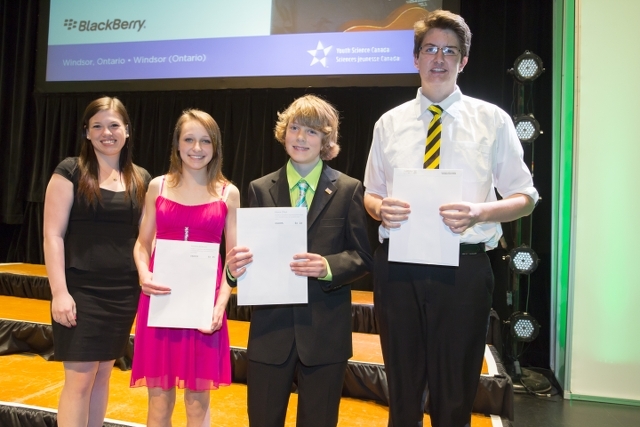 Last month, BlackBerry announced a new mobile development award for the Canada-Wide Science Fair 2014. Students across our fair nation were tasked with building a mobile application using PhoneGap or Appcelerator that meets BlackBerry’s BB10 UI guidelines, with the top winners receiving one-on-one mentorship with a BlackBerry mobile developer expert, a BlackBerry 10 smartphone, and cash prizes. The results are now in, and B.C. students dominated, winning all three age group categories with their clever and helpful smartphone apps. Kieren O’Neil, the Junior Category Winner, won for his Deciphering Recycling app, which provides useful facts and tips to the environmentally conscious. Whitney Anderson, the Intermediate Category Winner, won for her Tasker app, which locks down dangerous and distracting interactions on a cell phone while driving, while still providing necessary communications when a vehicle is in motion. Noah Bergmann, the Senior Category Winner, created a Musician’s Toolbox to provide musicians a handy way to tune their instrument or transpose chords. Congrats to each winner! May your complete West Coast dominance at the Canada-Wide Science Fair serve as inspiration for all other provinces.